Freedom Property Management: THE STRESS OF MANAGING YOUR OWN PROPERTY! On the blog today ; we thought we touch upon the effects of managing your property on your own. Although, this can be done and some owners have the knack for it. Others can get frustrated with the day to day effects of managing their own property. 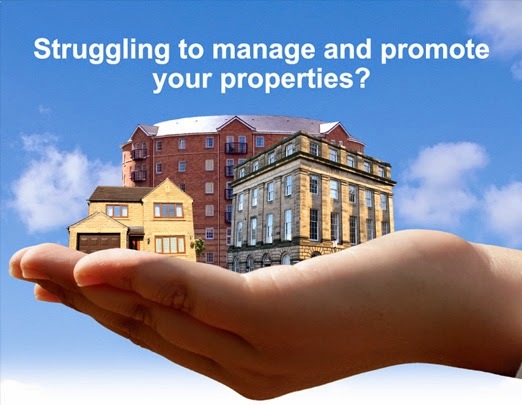 We have created a list with the major responsibilities that come with managing your property. * Tenant Calls/ Maintenance Calls- From slab leaks to fixing light bulbs. Your tenant will be calling you in all hours of the day and even that occasional 3AM call to fix what is going on at your property. * Association Calls- Often when you think about property management all you think about is collecting the rent, but this is simply not true. You will be in a great deal of contact with the homeowners association with violations, maintenance, parking permits and so much more. * Rent Payments/ Accounting- You will need to find out how, when, and where you will be collecting the rent. It is also very important to keep track of all payments and make sure they are accurate. This is where an accounting program can be a necessity for your property. * Late Payments and Bank Fees- Every tenant is not perfect. You need to set up a plan incase your tenant is late with a payment or bounces a check. Most banks will charge you a fee for a bounced check. How will you handle this? * Property File- Whether you are a tech or paper filer, you must keep a organized file for all aspects of your property. * Move in Process- Finding someone the home of their dreams, and seeing the smile on their face when you hand over their keys is rewarding. To get there the process will include : marketing the property, preparing the property ( this can include getting new carpet, painting, repairs, and general cleaning) screening the prospective tenants, selecting the right tenant and creating the tenant file, creating the lease and having it signed by the new occupant, collecting the deposit, and going over the needs of the tenant. Will you allow pets? Will you include appliances? * Move out Process- You will get some tenants that look for more than one year lease, and will stay for years to come. But what happens when that comes to a end? You will need to start closing their file. This will consist of inspecting the property for new repairs or damage during the tenancy, which will effect the amount of deposit the tenant will receive back. You will need a thorough move-out process in place. Freedom Property Management was created for these purposes. We strive to give the homeowner reliable, stress free and cost effective service utilizing a personal hands on approach with exceptional customer and client services. Help us Help you become stress free!